Welcome to week 192 of Travel Photo Thursday. Classes started this week, on the cusp of a major Korean holiday, Chuseok. Many students won’t come to classes until after the holiday, and others are eager to see the end of today, so they can head home to their families. For me, it means almost a week off, I am not complaining  Chuseok is Thanksgiving here. The Koreans honor their ancestors and celebrate the harvest. Although, very early this year, the holiday is not that far removed from my own Canadian Thanksgiving. I hope you enjoy some of my favorite photos that I’ve taken here in Korea, over the years. 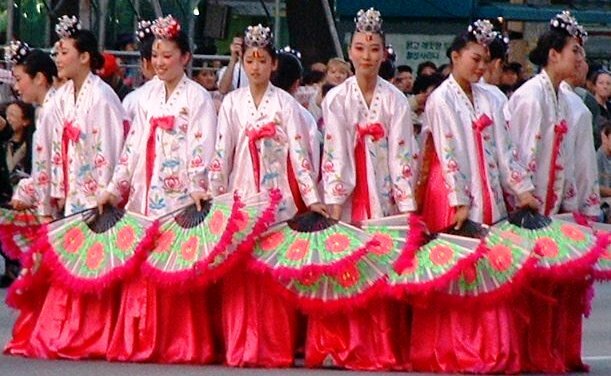 Korean Fan Dancers…(my favorite traditional dance.) Sometimes I think it’s as much as the dance as the beautiful costumes. 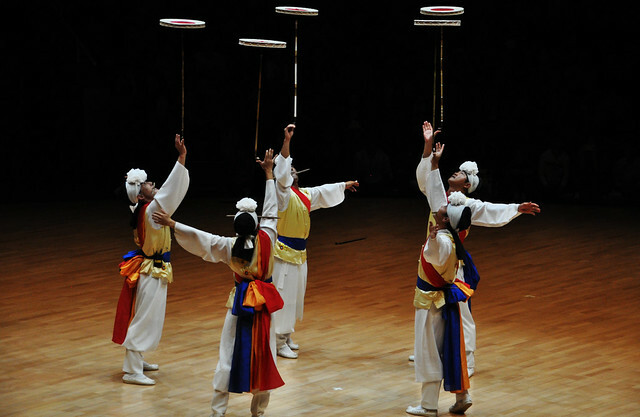 Spinning Disks…The traditional costumes make these guys ROK! I would say this is my favorite shot. One of the reasons being, that it was picked up by National Geographic’s “Intelligent Traveler”. Taken at Nun’s Temple, Daejeon. Looking at all these photos has made me realize how beautiful Korea is, and how many more shots I want to take before I leave. Time to become the “weekend wanderer”, again! 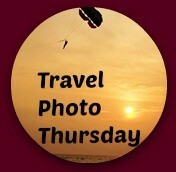 ____ This is the 192nd edition of Travel Photo Thursday. You can browse the archives here. 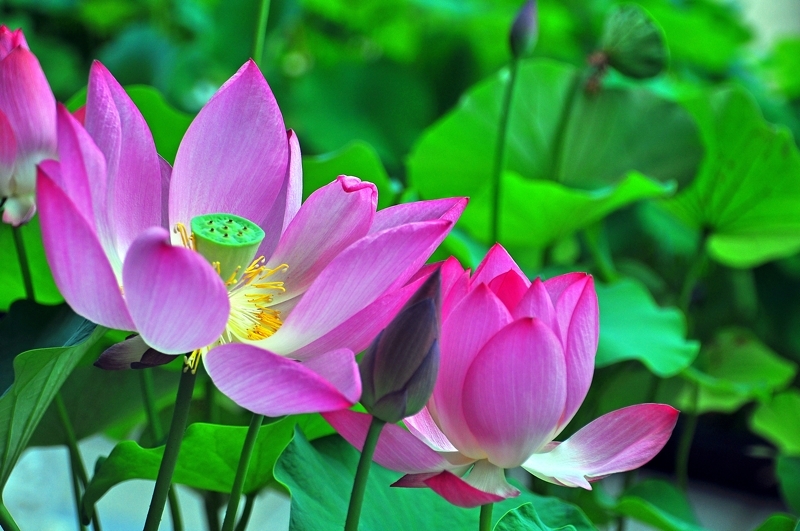 Hi Nancie, thank you for always bringing to us the beauty of Korea through your amazing images. I’m always fascinated with the costume of the fan dancers and I dearly wish to see their performance in person one day. That temple shot is truly stunning; I also hope to see it in person one day. And, of course, your food shots are always inviting. I get to try a lot of good Korean food here in NY but I know there’s nothing like having it right there in Korea. One Day. Enjoy your week off, Nancie! Hi Marisol. Thanks for being here this week, and your kind words. When you get to Korea, if I am still here, we will have to arrange a get together! These photos are lovely and make me want to go to Korea!!! Hi Jackie. Come for a visit while I still living here, and I will show you around. Beautiful images! You make South Korea look like a very tempting travel destination. Enjoy your week off! wonderful images each and every one of them bringing us food, culture, art, scenery. What a beautiful place Korea looks to be. Thank you for taking us along with you. Hi Jill. Glad you enjoyed the little tour. Thanks so much for linking up this week. Nancie, I think Korea can be such a beautiful place. Are you thinking of moving? I always get a little antsy when I contemplate moving on, thinking I need to do this or that, or even redo something before I go. Do you know what I mean? Hi Corrine. Yes, a move is in the offing. I am not quite sure when. If things go as planned, January 2015. If not January, then August/September 2015. I do know what you mean about getting antsy. Now that I see a light at the end of the Korea tunnel there are so many things that I want to do. Gosh Korea looks beautiful. I’d so love to visit. The dancers’ costumes are amazing and your photo chosen by National Geographic is simply stunning. Hi Phoebe! 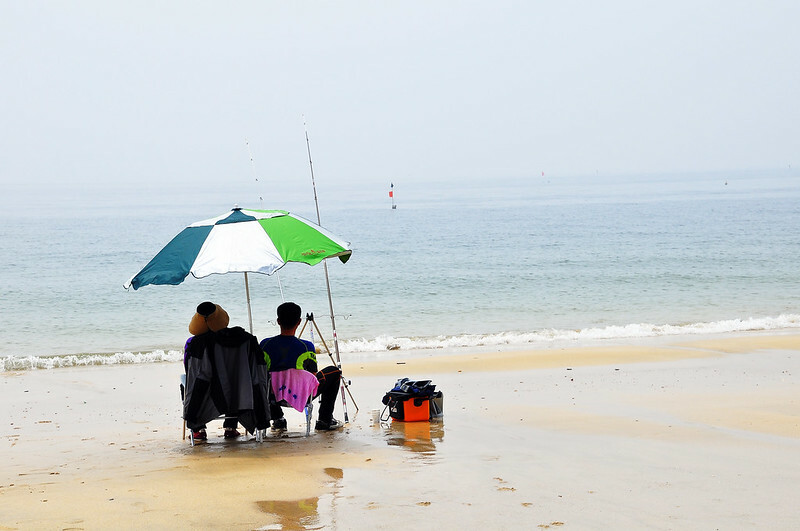 There are lots of beautiful locales in Korea. 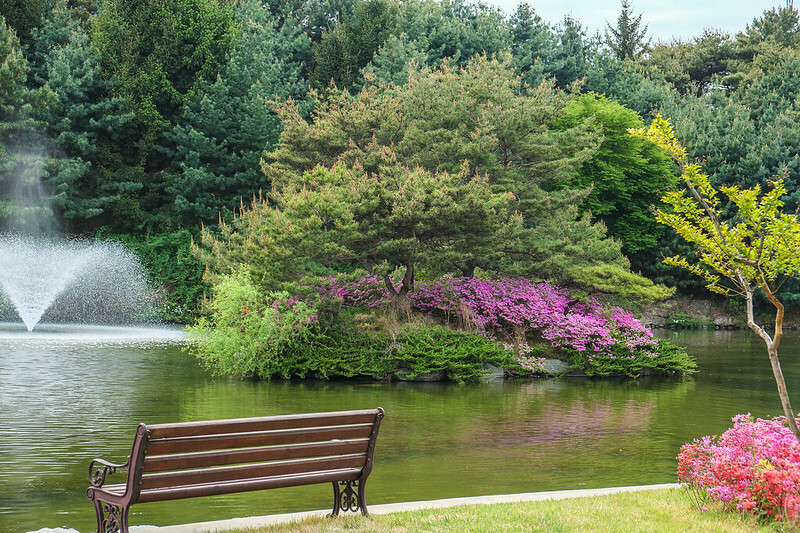 The best time to visit is in the Fall or Spring. I do love my shot of the dragon  Thanks for linking up this week. There is something so calming about fisher men and women on a beach and that empty bench just calls out to me. . .well, and the food and the flowers. Nice photos, Nancie! Hi Jackie. Thanks for linking up this week. I know how tough life is on Kauai  I’m so glad you enjoyed the photos. I love seeing Korea through your eyes Nancie. And apart from beautiful sunsets, costumes, food and flowers what did I take away from this post… You might be moving??? Hi Jan! Yes, just waiting on an opportunity. If that comes through, I’ll be moving in January. If not, then August or September. I can’t say much more than that at this point. Cross your fingers for me! Thanks for linking up this week. It’s always a joy to see your Korea photos especially when you attend festivals and we’re graced with cultural dancers and their colorful costumes. That temple shot has always been a favorite of mine. I really hope to make it to S. Korea one of these days especially during Spring. Have a good break! Hi Mary! I hope you do get here one of these days, and I might be here to show you around. Thanks for linking up this week. Always love seeing your photos of Korea. I remember that one that was picked up by National Geographic. –well-deserved recognition. I especially like your photos of the people. They always bring the country to life for me. the fan dancers are great. Hi Cathy. Love your kind words, and thanks for linking up this week. That temple photo has always been one of my favorite. I never did get over to Korea when I was living in Asia. You make a very good (photographic) argument to visit there. Have a great start of the school year! Hi Michele, and thanks! I’m surprised you didn’t have a stop-over here. 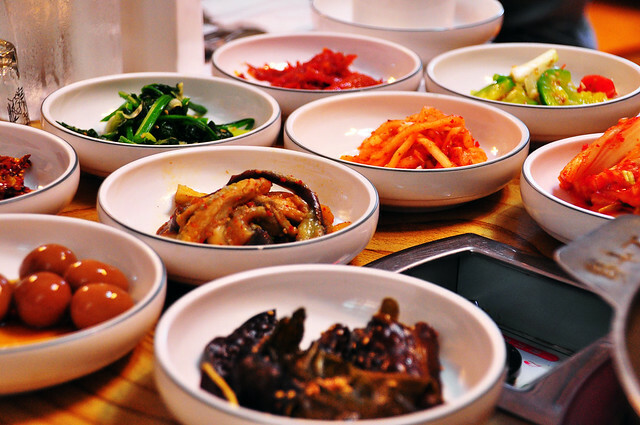 I’m lucky that NYC has a lot of Koreans and thus a lot of great Korean food. But i would like to visit Korea and eat it at its source one of these days. Those little bowls look good! 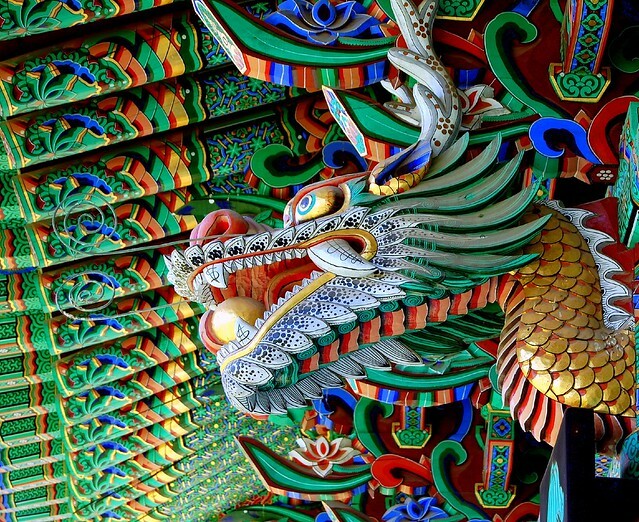 Magnificent photos of Korea. I love the vivid colours of the costumes, scenery and food. An amazing travel destination. From the pictures looks breathtaking. I can’t wait to try it in my next trip.